Sea stars are usually found resting on rocks and coral, but you'll find this star right in the middle of the action! 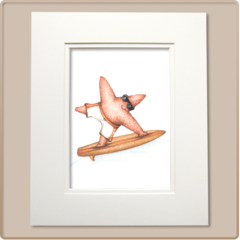 Bring home that surfer spirit with this decorative sea star art print. Cowabunga!